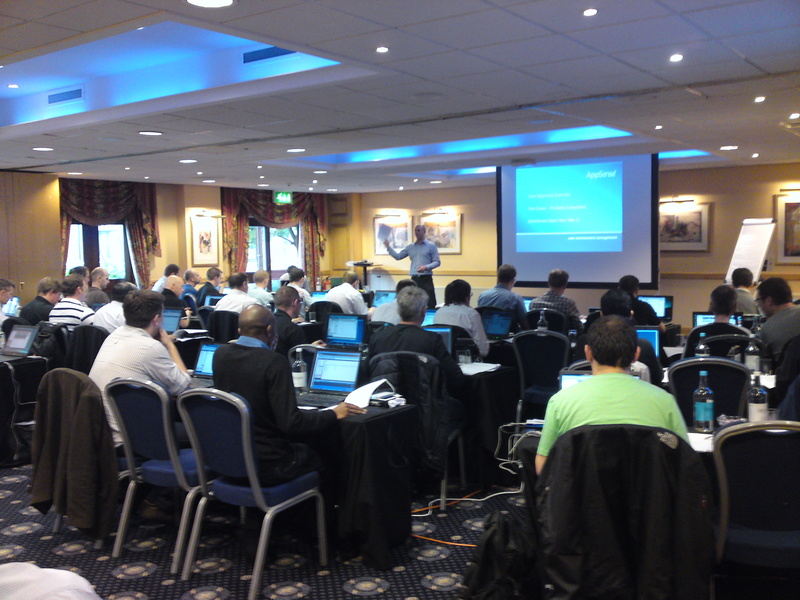 Last week saw the annual round of AppSense Universities taking place. A gathering of the best consultancy minds from AppSense channel partners and system integrators. The goal of this year’s University was to drive home the AppSense best practices when delivering AppSense solutions and to educate the attendee’s with an increased technical understanding of the Environment Manager product. It is clear that User Environment Management has become a very hot topic within the technical community and so this year’s attendance was higher than ever with over 50 partners attending the 2 day event. The sessions were a mix of theory and practical work, culminating in an exam that tested both current skill levels and knowledge acquired over the 2 day. Over 90% of the attendee’s have been working with AppSense for many years, but all that attended commented on how much additional technical content they had obtained by attending the event. The practical sessions saw delegates solving real world challenges with ease when using an AppSense Solution. The practical sessions provided delegates with a technical insight into Environment Manager via the Deep Dive sessions, this included how Environment Manager integrates with the logon process. While the hands on labs enabled delegates to migrate users from a current problematic Roaming Profile to an AppSense Managed Profile, there was also the chance for delegates to get a grasp of all Environment Manager Best practices as well as implement these in the lab sessions. The event also provided a solid platform to feedback into AppSense Product Management on features that would like to be seen and features that are already present. The University events prove to be one of the best sources of feed in for product features since the delegates are all seasoned professionals who need solutions to their own unique issue areas. “Having been to several AppSense Technical Universities, I can genuinely say they are a valuable experience to anyone working with AppSense technology and is looking to expand their customer base in the user environment management space. There is always a great mix of theory, practical lab sessions and open discussion on personal experiences out in the field, which makes the event both educational and informative. It’s also good to see what’s next in terms of product development and refreshing to be able to offer input, which is often incorporated in to the new versions. I’d definitely recommend this event to anyone who is serious about AppSense.” – Simon Mulrain, Senior Consultant, Point to Point. The exam was received positively with many wanting to test and prove their AppSense knowledge. On a whole the results were fantastic but a special mention must go to Esteem, ADD3, Centralis, ISC and Point to Point whose delegates on the day achieved the top grades. Most walked away from the event feeling that the content was very relevant, and already asking the dates for the next University. We all look forward to seeing you all again next time.